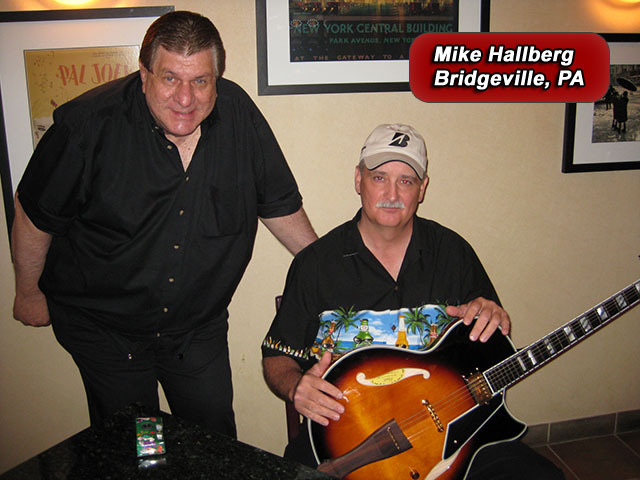 Please enjoy this sampling of photos and commentaries from owners of Conti Guitars around the world. Note: Items dated before October 2016 refer to the 1st generation Conti Guitar. I wanted to say it was a pleasure to meet you and to thank you and Mr. Conti for taking the time and trouble to deliver my guitar. I’m back home and have had a chance to play it for a couple of hours. It sounds awesome through my Fender Deluxe Reverb and the neck and action really makes it easier to play. As soon as I get my Band-in-the-Box software working again, I’ll cut a video with the Equity. 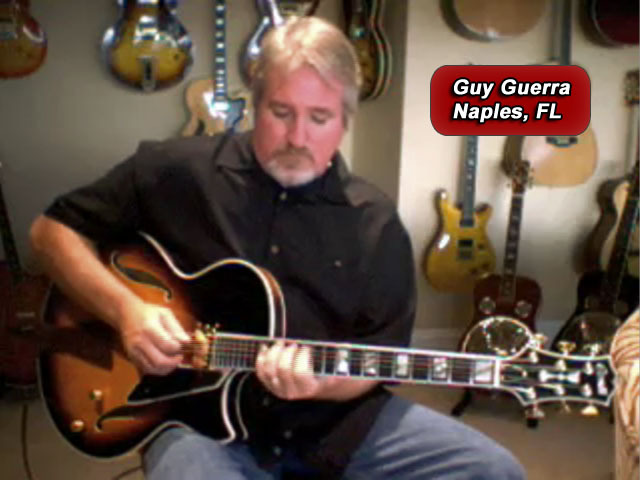 Thanks again and I look forward to seeing you and Mr. Conti at the next NAMM show. 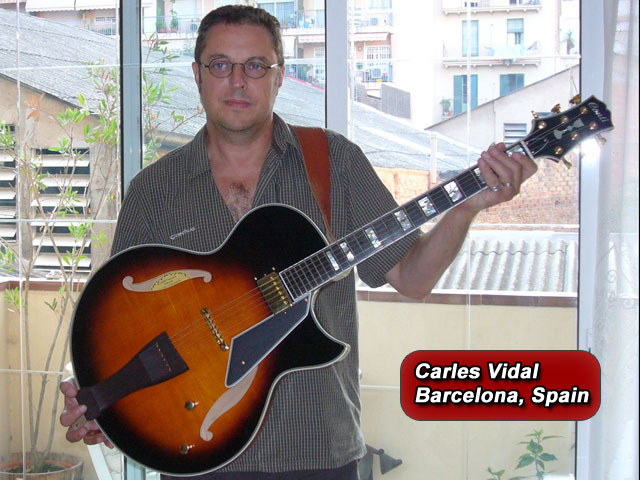 The Equity guitar arrived in just 2 days from Las Vegas, NV to Barcelona (Spain)!!! First consideration: it’s more pretty in direct, photos do not do justice. Second: I was pleasantly surprised by the great acoustic tone and volume unplugged. Third: plugged in my Acoustic Image Clarus 2R + Raezer’s Edge 12ER … the sound is superb, very impressive, warm and sweet. The volume and tone controls give much play to experiment with them. I love her neck and the shallow Florentine cutaway. 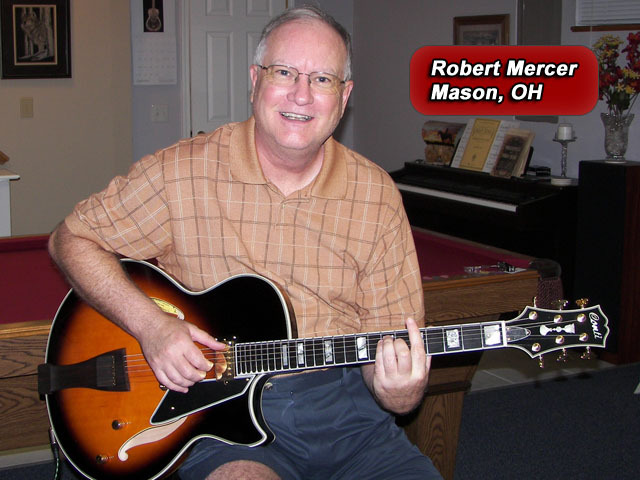 I very much appreciate the work of Mr. Robert Conti offering such a high-level guitar at a very affordable price. Thanks again, Mr. Conti. Besides, I am lucky to have a guitar played by Mr. Conti himself. A little extra that makes me very happy. Thanks also for all the kindness shown to me by Mike. I received the guitar. It’s was delivered in perfect shape. It was seen and heard by virtually everyone at the [National Guitar Workshop] campus, about 300 people. I was excited about it, and carried it on my back or played it every night of the week. I would have put a www.robertconti.com sign on the gig bag if possible, that’s how much of a believer I am in his teaching, and how much I like the guitar! 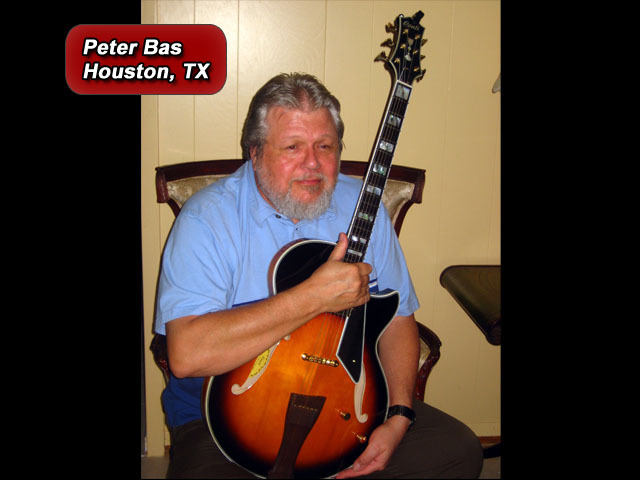 I’ve played the Conti Guitar in a big band setting (18 piece) playing 40’s swing and in a sextet. 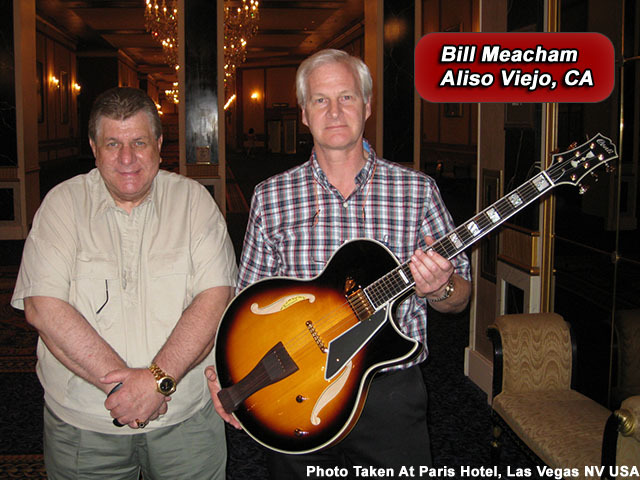 I really liked it for the longer gig because of its light weight; it didn’t dig into my neck after hours of playing. It is very comfortable. I like the feel of the neck and it is an attractive instrument. 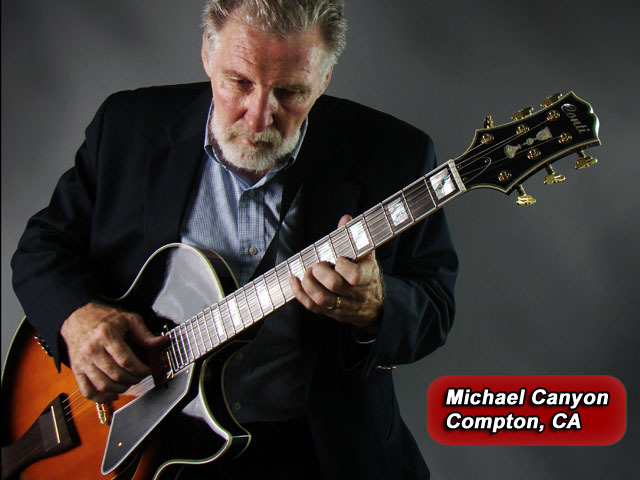 I own 26 guitars, both archtop and hard body and the Conti is in my top five to gig with. I have appreciated the professionalism Mr. Conti has shown with all of his products. (I’m a repeat customer, and proud of it!) I’ve met him at a couple of trade shows and he is warm, friendly and sharing. I may not be getting much better but I sure feel good about playing Conti’s songs, both from his books/tapes and from his Just Jazz Guitar submissions. Unpacked it Friday, still admiring it, playing it, admiring it, playing it, etc. The Equity matches your description in all ways, the photos really don’t do the guitar justice. Came through in great shape, you guys know how to pack ’em. Also thanks for the DVDs and the tuner, much appreciated! Best wishes to all, continued success and thanks again. Received the guitar as you know and I love it! I raised at the bridge and still have the action set low at .01/.02 at one and .04/.05 at the twelfth. It is unlike any archtop I’ve played in that the combination of the scale and the 16 fret body make it feel like a longer scale which is most comfortable but of course it is shorter for efficient chords and increased warmth. Very nice. I am interested in what Mr. Conti’s set up is. Must be extremely low based on where this guitar was when I received it. I’d guess straight neck with .01/.02 or less at the first. .03/.04 at twelve? This will be my primary guitar for everything but finger picking. Mr. Conti, It was an absolute pleasure meeting you last week. 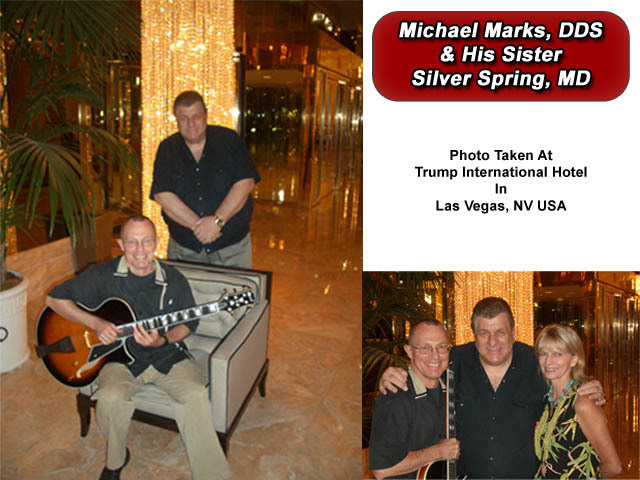 I still can not believe you and Mike hand delivered the guitar to me in person at my hotel in Las Vegas, NV. I’ve had a few days to play it and the “Conti Guitar” plays like a dream and sounds as beautiful as it looks. Your guitar will be the standard I use to evaluate any other guitars I may play in the future. You got it right! The success of this guitar could only be limited by the level of promotion and advertising it receives. I’m a customer for life.